Whether you have a business, a side hustle, a charity, or a message you want to spread: a website is a must – ideally, an easy-to-use website with a format and appearance that expresses who/what you are. While content is king, the appearance and structure make a tremendous difference, especially if the goal is to project professionalism. While the Internet is theoretically free for all, many people have been slow to get involved because they lack the expertise to build a website. Fortunately, programmers have seen this problem and come up with solutions. WordPress is one of the best website builders and is suitable for a wide variety of people and organizations. While WordPress certainly simplifies website creation, the system itself has some complexity, so advice about how to use it is helpful. WordPress classes online are a quick, inexpensive way to be sure that you are choosing the right WordPress features and maximizing the utility of the WordPress program. WordPress is a web content management system that happens to be open-source, and, for basic features, is free. WordPress manages a startling percentage of sites – about 30% of the most popular sites and over 60 million sites overall. It can be used anywhere the Internet is used – any language, any browser, any country, any server; it can manage almost any type of website: blog, forum, e-commerce, personal site, and more. A serious point of confusion is that there exist both a WordPress.org and a WordPress.com. While the two are related, there is a critical difference. The .org site is the site that offers the WordPress application itself. The .com site is the site for Automattic, the company that offers the WordPress application as an internet service. Both are built around the same WordPress project and both are headed by Matt Mullenweg, WordPress’s developer. WordPress.com acts as a web host and provides features based on several price levels (starting with free). In essence, WordPress.com users do not have as many choices to make – a lot is done for them; WordPress.org allows you to download the application for the content manager itself, but it does not provide a web host, and there is more fluidity when it comes to choosing plugins and add-on features. Also, unlike the .com site, WordPress.org allows you to use your own (non-WordPress) domain name, free of charge. Conveniently, WordPress.com has a comparison chart on the homepage to help you decide which (.org or .com) is right for you, and WordPress.org has a WordPress.com link on the list at the bottom of the homepage. For those who would like a few more technical details: WordPress is coded with the programming language PHP, which originally stood for Personal Home Page, but the language is now known as Hypertext Preprocessor. The data is managed with MySQL (The “My” part is a subjective choice, but SQL is Structured Query Language.) Some features that you might see available on WordPress.org or .com are Jetpack Essential Features, Google Analytics, VideoPress, and more. Jetpack is really just a plugin containing many core features – it is always free. Google Analytics is a software that tracks activity on a website – this is especially helpful for businesses. VideoPress is a plugin originally unique to WordPress; it manages video media on websites. Something else you might see is the new Gutenberg Editor, which is created to make site editing easier than it was with the previous WordPress editor. At this point, it is unclear whether this updated plugin will be an improvement or a problem. WordPress classes online can help you prepare to use Gutenberg or help you select the former editor; also, they give you some idea of which route you should take for your unique purposes. While WordPress is especially known for management of blogging sites, it can be used for any category of website. If WordPress.org and .com are taken together, the WordPress entity offers complete flexibility and choice: You can progress from letting WordPress.com build and host a site for you to acting as the site administrator and hosting your own site. Depending on your needs and/or expertise, you can begin or end anywhere on this spectrum that suits you. WordPress classes online are a great way to decide where you want/need to be on the autonomy spectrum, and they can help you progress to reach your web content goals. For courses or just quick video lessons about WordPress and other highly relevant topics, check out LinkedIn Learning. Much like LinkedIn itself, this online learning center is job-focused: You can find free and open videos on basic career advancement topics, such as leadership skills, basic sales skills, and time management. Even some beginner courses are completely free and open. Courses range from general/beginner to advanced level and fit into 3 general categories: business, creative, and technology. Most WordPress courses are in the front-end web development section of the larger web development section within the technology category. Another way to look for a specific kind of course is to make a search in the search bar at the top of the page; you can also filter searches by course level and by the categories: videos (separate from the course of which they are part), courses, or learning paths (groups of courses). You can also search for items of different durations, starting at under 10 minutes. 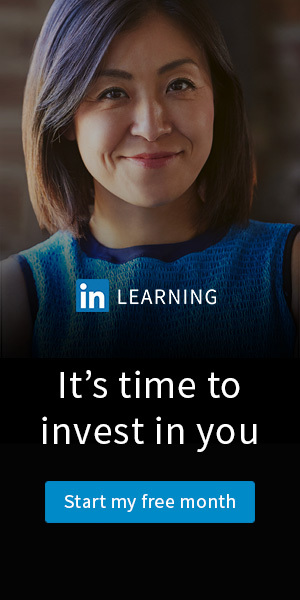 All courses on the site are available to you as long as you have a LinkedIn Learning subscription. Subscriptions can be purchased for individuals or businesses. LinkedIn Learning is not the place to find highly academic or theoretical courses; it is purely practical in nature. Even the creative courses focus on the technical and planning components of the creative process. If you are a total beginner or you think WordPress.com is likely better (than .org) for you, the best beginner course on LinkedIn Learning is probably ‘WordPress.com Essential Training.’ The instructor, Carrie Dils is an experienced web developer, teacher, podcaster, and writer – specializing in the topics of WordPress and freelancing. In this course, Dils gets right to the point – getting you set up with a website instantly and quickly moving on to important features such as links, images, and themes. By the end of the course, you also will be able to determine when/if you are ready to move to WordPress.org. If you think WordPress.org is right for you but are still a beginner, ‘WordPress 5 Essential Training’ is perfect for you. This course is taught by Morten Rand-Hendriksen, a web developer who splits his time between running a digital media company and teaching about website building. Rand-Hendriksen starts by imparting a basic understanding of what WordPress is; then, he moves on teaching the basic functions and features of WordPress, giving advice about which plugins to use. He also makes it clear which of the more specific courses will best suit your needs. Also, the Gutenberg editor is new to WordPress, so if you want to learn about the previous editor, ‘WordPress 4 Essential Training’, taught by the same instructor, is still available on LinkedIn Learning. Rand-Hendriksen also teaches an entire WordPress DIY series, the first of which is ‘WordPress DIY: Setting Up WordPress.’ This series is directed at .org users. This course focuses on the process of choosing a host and connecting to the host by File Transfer Protocol (FTP). Other DIY courses individually cover building a small business website, a freelance/independent website, a community website, and more. For something intermediate in level, Rand-Hendriksen teaches ‘WordPress Themes: Twenty Seventeen.’ The course thoroughly explores the features included in Twenty Seventeen, the default WordPress theme going into the year 2017. This theme is especially designed for blog sites but can be applied to other site types, as well. WordPress is ideal for those who are not sure where they want to go with their web building activities: WordPress gives so much flexibility within one basic web content management system. Figuring out WordPress is easier than building a website from scratch, but yet there is still the opportunity to learn and take more and more control over one’s own web content presentation. Therefore, you do not have to wait until you know everything to build your website but, if you do learn more, you can apply what you have learned to make your website suit your unique purposes. A website can be the center of a business, or at least an important advertising entity or customer interaction hub. It can be a forum for a support group or a cause. Applications like WordPress have made the Internet more truly democratic, because now anyone willing to make a minimal effort can have some sort of website. In recent times, when people want to look something up, they go to the web; therefore, if you have a cause or interest of any kind, you need to be represented on the web. It is likely that once you get your foot in the door, you will be motivated to learn more and improve your web presence.